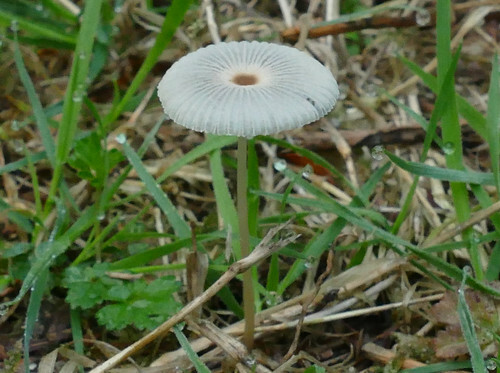 Nearly trod on this little mushroom on my way to fill one of the bird feeders, but saw it in time. Cap was hardly the size of a 5p coin, and so delicate as to be nearly transparent. Thanks for the id, Duncan! I had noticed before how quickly they can vanish- on several occasions I've gone back with the camera and wasn't able to find them. Now I photograph them straight away!